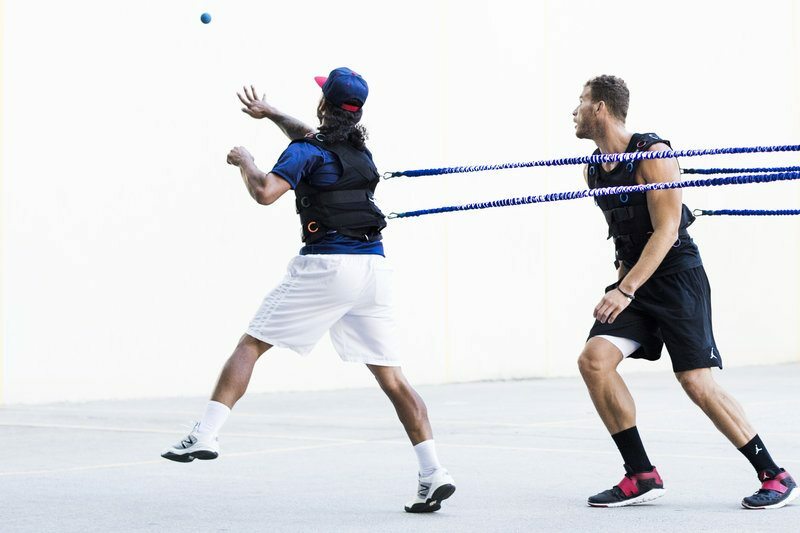 NBA player Blake Griffin trains with handball player Timbo at the the West 4th Street handball courts in New York, NY USA on 15 September, 2015. October 12th, 2015, by Khalil Garriot- Blake Griffin admitted he didn’t know what to expect about playing handball. He just wanted to develop a new set of skills. In the debut episode of “The Crossover,” narrated by Griffin himself, Griffin practiced with handball legend Timothy “Timbo” Gonzalez at the West 4th Street Handball Courts in New York City. Gonzalez, famous for his hand-eye coordination and speed, said the NBA player is a quick learner.